You may exchange one of your Set's or addon's Plain/Broken Ground tiles into Artillery explosions Craters Tile. 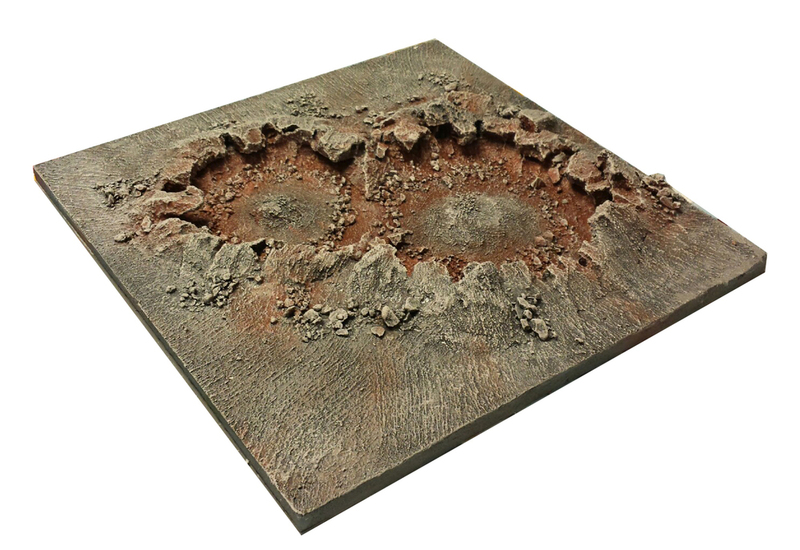 The tile includes two artillery craters, smaller than the impact tile, with the jagged edges of exploding ground. It's 30x30cm, completely made from resin.